Graduation is almost near! Are you excited to enter a new chapter in your life and put all you’ve learned in college into practice? If you’re already polishing your requirements, it’s a signal that you should prepare to hunt for your perfect graduate job. How can you get the perfect graduate job? Getting the perfect graduate job has no exact formula. As a beginner in the employment world, you’re likely to be overwhelmed with a ton of job search tips and advice from your already-employed friends or relatives. Don’t sweat it, though. We’ve gathered them all into this simple list of tips to keep you sane. 1. Take time to reflect. What do I look for in a job? Is it what am I passionate about? Does it align with the job I want to apply for? What are the potential challenges that I might face after I graduate? Taking time to reflect on your choices allows you to figure out the job you want to see yourself actually doing. When you’re offered a job, don’t take it as if you were offered a gum. Remember that your first job is where your career growth begins, so make it worth your search. 2. Perform mock job interviews. Practice makes perfect. A job interview is where you can demonstrate to your prospective employer your skills and achievements, and prove that you deserve the job. To ensure that you’ll only give the best answers, doing a mock job interview will be great to rehearse. Here, read our article on interactive job interview tools that can ease out your job interview mock-up. 3. Invest in a professional outfit. Speaking of job interviews, your appearance can play a great part in establishing the first impression. In fact, according to Beth Braccio Hering of CNN (as cited by Joel Delgado of FIU News), a poll in 2010 revealed that appearance is ranked “second” in qualities linked to professionalism. So, don’t hesitate to invest on at least, few appropriate clothing for your chosen field. 4. Review your online profile. Nowadays, social media plays an important role in the job search process. If you already have a LinkedIn profile, now is your time to check it out and ensure that the information is accurate and up-to-date. Haven’t created yours yet? You may want to read the LinkedIn profile writing reviews of the top resume writer from our list. 5. Reconnect with your professors. Still can’t think of a career you want to invest your efforts in? Go back to your university or college and seek professional advice from your favorite professor. Not only will they help you start your job search right, but they can also as well suggest the perfect graduation job that matches your passion and skills. 6. Look for companies in your chosen field. It’s a good idea that you already search for jobs while finalizing your requirements for graduation. It may sound grueling, but if you want to land a job straight after college, it’s the best move you can do. Look for opportunities in different companies – both big and small – and then research on their company culture. If their culture suits yours, send them your resume and personalized cover letter. After that, you only have to wait for two events: your graduation and your first call for job interview. 7. Have your resume critiqued by a professional. Your resume is your most significant job search tool. That’s why it’s important that you don’t only proofread it multiple times, but have an expert critique it, too. You don’t want to send a resume with misspellings and bad formatting, do you? Job search can be difficult for entry-level candidates like you as some companies seek for experienced professionals. But don’t worry, and don’t rush yourself in finding for opportunities. 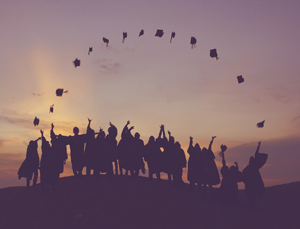 Just cling on these smart tips and we guarantee that your dream perfect graduate job is within your reach! Do you know a friend who needs these expert tips, too? Share this article to them! Tip number 10 suggests that you should have a professional critique your resume. If you’re looking for a resume expert who will do the dirty job, you’re just in the right page to finding your perfect job search partner. Visit our list of top resume writing companies. Each company represents a team of resume writing experts that will not only review your resume but will fix it, too!